How to Generate More Leads Through Strategic Content Distribution. So you’ve just created a lead generation offer. Great! Now what? With marketers across all industries producing more and more content, it's your content promotion strategy that will make yours stand out from the crowd. After you’ve created your helpful piece of content, you’ll need to come up with a coordinated plan for how to actually promote that content and generate leads. In fact, we found that coordinating campaigns across multiple marketing channels helped us generate 72% more leads than campaigns that were not coordinated. 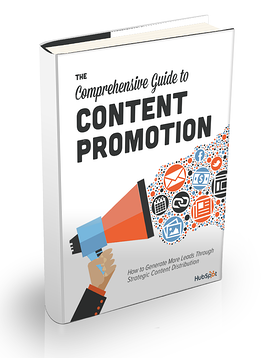 All the more reason to get your content promotion playbook in order. If you'd like this free ebook, please fill out the form so that we can send it directly to your inbox. Help Me Promote My Content!